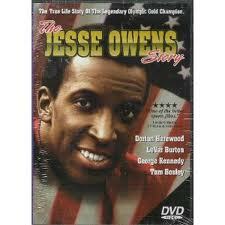 In the spirit of the Olympic Games why not sit back and enjoy some Olympic movies. Below is a list of the top 10 Olympic movies, which include summer and winter Olympics. 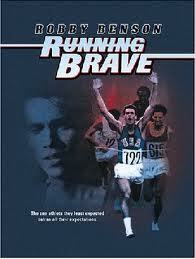 Running Brave is the true story of American Indian Billy Mills, who came from obscurity and in one of the great upsets of sports history took the gold medal in the 10,000 meter at the 1964 Olympic games. Robbie Benson portrays Billy Mills in the movie. Dorian Harewood stars as the legendary Owens in this TV movie, which details the story of Owens’ triumphant smack-down of Hitler and his theories of race superiority in the 1936 Berlin Olympics. The drama won a 1985 Primetime Emmy Award and was nominated for two more. This is the true story of American Olympic diver Greg Louganis and the struggles he had on the way to become the worlds top Olympic diver. Louganis became one of the most prominent openly gay athletes and personalities in American history. There were many questions about Louganis’s decision not to disclose his HIV status at the time of his head injury during the 1988 Seoul Olympics. The movie stars Mario Lopez as Greg Louganis. This is the true story of Jim Thorpe, a Native American, who grew up on an Oklahoma reservation to become a collegiate, Olympic and professional star. He was stripped of his gold medals due to a technicality and his dream of coaching is shattered. His life begins to unravel and he is a forgotten figure. 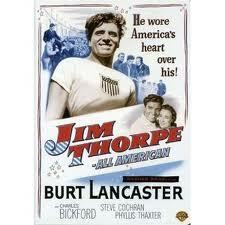 The film starred Burt Lancaster as Jim Thorpe and features some actual footage from the 1912 and 1932 Olympics. This is a documentary film that examines the 5th of September 1972 when 11 Israeli athletes were murdered at the Munich Olympics. Michael Douglass provides narration during the film. 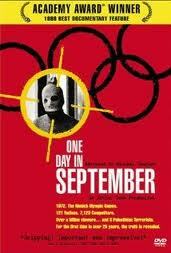 One Day in September won the Academy Award for best documentary feature in 2000. Prefontaine is about the life of American long distance runner Steve Prefontaine. The film is taken from the point of view of Prefontaines assistant coach and follows the runner through University, his disappointment at the 1972 Munich Olympics and then his tragic death at age 24. Jared Leto plays Prefontaine in the movie. 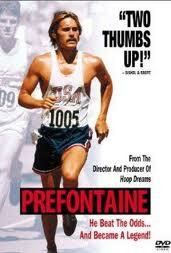 There was also a similar movie released in 1998 “Without Limits” which also details the life of Prefontaine. This movie is loosely based on the true story of a Jamaican Bobsled team as they made their way into the 1988 Winter Olympics in Calgary, Alberta, Canada. 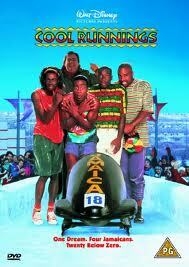 The movie is an adventure/comedy starring Doug E. Doug and John Candy. This movie chronicles the journey of the 1980 US Olympic Mens ice-hockey team and their journey to the 1980 Winter Olympics and their victory over the soviet favorites. Their win was dubbed as “a miracle on ice”. The movie stars Kurt Russell as head coach Herb brooks. 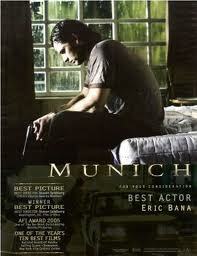 Munich is a 2005 historical film about the Israeli government’s secret retaliation against the Black September terrorist group after the Munich massacre during the 1972 Summer Olympics. The tagline for the movie is: The world was watching in 1972 as 11 Israeli athletes were murdered at the Munich Olympics. This is the story of what happened next. The film was produced and directed by Steven Spielberg and written by Tony Kushner and Eric Roth. The film received positive reviews and was nominated for five Academy Awards. The movie stars Daniel Craig, Eric Bana and Geoffrey Rush among the great cast. This movie is the true story of two British track athletes competing in the 1924 Summer Olympics. One is a devout Scottish missionary who runs for God, the other is a Jewish student at Cambridge who runs for fame and to escape prejudice. 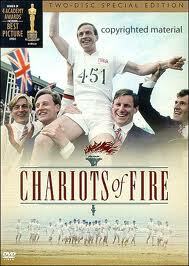 Chariots of Fire was nominated for seven Academy Awards and won four, including Best Picture. It is ranked 19th in the British Film Institute’s list of Top 100 British films. Have you also heard about a movie “Park” ( http://putlocker.rip/9381-park-2016.html )? Quite an unusual plot…. Thank you for sharing, that does look good and great site!